By now you've probably heard about, if you haven't actually read, a new book that's been drawing a lot of attention to translating, Found in Translation (FIT). The title is yet another take on what's become one of the most hackneyed of contemporary buzz expressions, but never mind: it's a book after my own heart. Because its avowed purpose is to make ordinary people aware of the universality of translating (in the broad sense that includes interpreting) and of its importance in human affairs. It's made up of a collection of true stories, with some comments, about translators spread over place and time. Each item is only a few pages long, and the reader can pick up and put down anywhere among them. So it's easy reading and ideal for filling in time on short journeys. Though there's a common educative purpose, there is however a fundamental difference of approach and emphasis between FIT and this blog. The authors of FIT are both Professional Experts and they write as such. I've followed one of them, Jost Zetzsche, for a long time as a blogger who runs a very useful blog on translation technology (see References). He's an accredited English-German translator. The other author, Nataly Kelly, is a certified court interpreter for Spanish in the Boston area. No doubt because of Nataly, the first item is a ‘day in the life of’ description of a Professional Telephone Interpreter. This is followed by a story with the intriguing title 'The Seventy-Million-Dollar Word', intended to support the contention that Professional Expert Interpreters (PEIs) should always be called in for doctor-patient medical communication; and that despite the cost, it may be much more expensive in the long run not to do so. I agree in principle, although the PEI's and the funds to pay them aren't always available, even in these days of telephone interpreting for covering emergencies. "One moment you'll find him rendering an acceptance speech at the Academy Awards. The next you'll see him standing next to Hollywood stars at galas and charity events. Turn on the television, and there he is, speaking to Larry King, Ellen, or Donald Trump [or] President Obama." This blog would have been more interested in his trilingual language brokering. "formed online groups at websites such as Dreamkidland.cn, where English-speaking mothers can translate children's books into Chinese for their children. Many of the translations have been used by publishers to produce actual books. And because the mothers ask for input from the children, kids actually have a say in which books get translated" (p. 72). 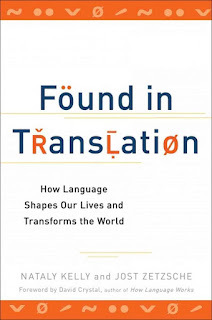 It's very debatable, however, whether "Most translation is not done on a volunteer basis" (p. 73), even Expert Translation, because paid translation is measurable ($33 billion a year, p. 73) whereas the unpaid translation is not; and with the advent of crowdsourced translating, the proportions are shifting. Another plus, from my viewpoint, is that FIT attributes due importance to the translation of religious texts, Buddhist and Muslim as well as Christian. And yet another is its chapter on 'Waging War and Keeping the Peace'. As long-time Followers know, religious and military translation are two of the bees in my bonnet. For laughs there's a good sprinkling of translation howlers. It's a pleasure to recommend this book, both for personal reading and as a present to give to others. For more academic and more affluent readers, it's not in the same league with Translators through History (see References), but then it's not addressed to the converted. Indeed my only gripe is not against the authors or the content but against the publishers. I wish there were a hard-cover edition printed on decent paper and with some illustrations. The book deserves it. Nataly Kelly and Jost Zetszche. 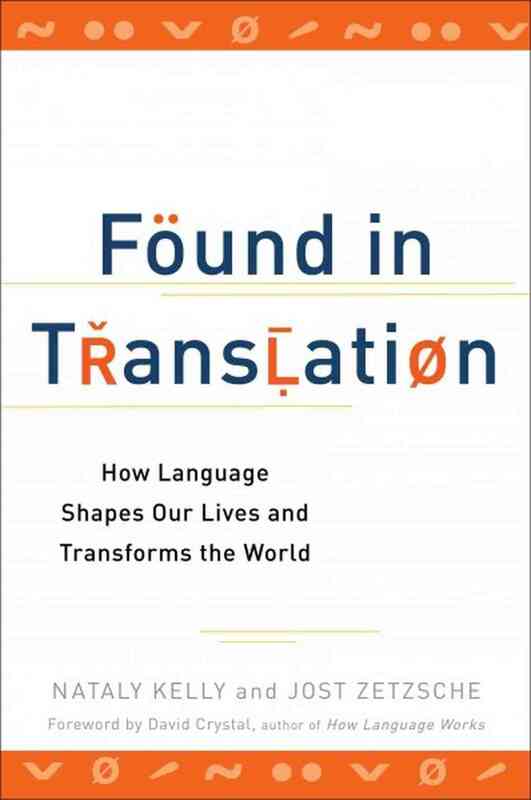 Found in Translation: How Language Shapes Our Lives and Transforms the World. Foreword by David Crystal. New York: Penguin-Perigree, 2012. 270 p. Preview here. 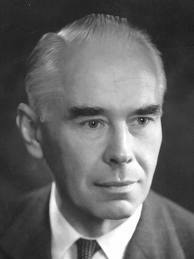 Jost Zetzsche. Tool Box Newsletter. 219th Basic Edition, 2013. See it here. Jean Delisle and Judith Woodsworth. Translators through History. Revised edition. Amsterdam: Benjamins, 2012. The Benjamins catalogue page is here. This is about a man who was not a Professional Lexicographer but a Professional Engineer. He was trained as an electrical engineer and he inherited a successful engineering factory from his father. But he became a self-taught Expert Lexicographer who was internationally recognised as such, and he revolutionised one major area of lexicography, that of technical terms. His name was Eugen Wüster, he was Austrian, and he lived from 1898 to 1977. He became interested in his teens in overcoming barriers to international communication. That was one of the driving motives in his career. In that spirit he learnt Esperanto and wrote an Esperanto-German dictionary. However, he wrote his dictionaries to spread his ideas and not to make money. The other main inspiration was his observation that multilingual technical terminology, starting with that of his own speciality, electrical engineering, was constantly hindered by imprecision. There were too many synonyms, or near synonyms, for the same referent, and terms were translated by terms in other languages whose referents were not exactly the same. Wüster's answer for electrical engineering was to seek international agreement on the standardisation of terms. As a result, the Committee for Terminology Standardisation of the International Standards Organisation (now ISO/TC 37) was established in 1936. But how to ensure that the terms thus standardised would have exactly the same meaning? It’s generally believed in linguistics that words have two facets that are welded or linked together mentally. One is their outward spoken or written form, their signifier, and the other is their meaning or concept, their signified. Mentally we may access a word by either, but traditional lexicography accesses them by form. (Yes, I know about thesauri, but that’s another story.) Hence we look up a word by its written form, and in a monolingual dictionary the concept follows as a written description or less often as a graphic. In bilingual dictionaries, however, it’s different. We still look up the source language word by its form, but what follows is the target language form or forms that is/are deemed by the lexicographer to be its equivalent. The concept isn’t provided, so we can‘t judge whether it's the same and often we don‘t fully apprehend it. Wüster's answer can be stated simply as: Start with the concept. First define or describe the concept precisely, and then look for the word form or forms that express it; not vice versa. From that follows the principle: no term to be presented without its concept. It's a procedure that can be applied far more widely than to standardised terms; because even if a word in Language A doesn't have exactly the same meaning as a word substituted for it in Language B, explicitation of their concepts enables us to see and make allowance for the differences. He made other contributions to a new 'science' of terminology as practised by a new profession, that of terminologist, but this was the most important. His ideas came at the right time, because of important changes in the 'ecology' of technical vocabulary. The 1950s saw the first wave of what was called 'the documentation explosion': an enormous increase in the volume of technical documents in circulation. Sustaining it was an explosion in the technologies themselves. New terms were required for the novelties. Typically they appeared first in English and then equivalents had to be devised in other languages. The advent of computers increased the amount of information that could be stored and presented about a term far beyond what was practicable and affordable in paper dictionaries. Furthermore, computers provided new tools for finding concepts without having to know the signifier form. Let's take a real-life example. Wüster was supported by Unesco and left behind him an international organisation of his followers, Infoterm. Today there are many professional terminologists who work according to his principles and consign their findings to computerised term banks. In Canada there are enough of them for them to be considered a branch of the translation profession alongside written translators and interpreters. You can take a look at a large Canadian term bank by clicking here. Would he, I wonder, have ventured to upend technical lexicography if he hadn't been trained as (to quote Kevin Lossner's comment) "a practical engineer". This post concludes the mini-series on Native Lexicographers. Eugen Wüster. Enciklopedia Vortaro Esperanta-Germana [Esperanto-German Dictionary]. 4 vols. Leipzig: Hirt, 1923-1929. Considered a classic, but hard to find. Eugen Wüster. Introduction to the General Theory of Terminology and Terminological Lexicography. Vienna: Springer, 1979. English translation of his Einführung in die allgemeine Terminologielehre und terminologische Lexikographie. There are also French, Japanese and Spanish translations. Eugen Wüster. The Machine Tool: An Interlingual [English, French, German] Dictionary of Basic Concepts , comprising An Alphabetical Dictionary and a Classified Vocabulary. London: Technical Press, under the auspices of the United Nations Economic Commission for Europe, 1968. An application of his principles in a paper format. Second-hand copies on offer from Amazon UK. Further afield both in place and time, one of the earliest English-Japanese dictionaries was produced in the late 19th century by a British diplomatic interpreter, Ernest Satow (the same Satow as in the previous post) and a Japanese informant, an official at the Japanese Foreign Ministry; then revised by two other British consular officials, and dusted off and reissued in 1943 for use by Americans in the Second World War (see References). It seems to go like this. Somebody who’s a practitioner in a specialised field and is faced with having to do translations finds that the existing dictionaries for that field are inadequate and decides to work on a better one as a sideline to their main professional work, for the general benefit. Their dictionaries are usually one-off enterprises, though they may go through several editions; and they tend more to the simple paired word list than the more expert products. "An overwhelming majority of the parents of children who are deaf or hard of hearing are not fluent in American Sign Language, reflecting a communication disconnect that could be critical in a medical emergency. Now, a simple pamphlet created by University of Delaware nursing student Allyson Hayes is available to help these children tell their caregivers how they’re feeling. "Hayes wrote some brief explanatory text and collected images of signs for nine symptoms—including cough, itchy, temperature, nausea and dizzy—as well as seven terms connected with hospitals, such as nurse, doctor, emergency, medicine and allergy. "The resulting brochure, Important Signs for You and Your Child, was sent home to parents of children attending the school, but it also caught the attention of a school administrator, and plans have since been made for it to be used by Delaware’s Statewide Programs for the Deaf, Hard of Hearing and Deaf Blind Services. There's a brief video about it here. Fernand Sylvain C.A., et al. Dictionnaire de la comptabilité et des disciplines connexes. Toronto, etc. : Institut canadien des comptables agréés, 1977. There's a digitised copy here if you have the software to open it. Thomas A. Quemner, licencié en droit (Bachelor of Laws). Dictionnaire Juridique Français-Anglais: Droit, Finances, Commerce, Douanes, Assurances, Administration (French-English Legal Dictionary). Paris: Éditions de Navarre, 1955. Second-hand copies from Amazon. Michel Ginguay. Dictionnaire d'informatique, bureautique, télématique anglais-français (English-French Dictionary of computing, data processing and telematics), 1970. More recent editions available from some Amazon sites. E. M. Satow and Ishibashi Masakata, An English-Japanese Dictionary of the Spoken Language, 1876, 366 pages. Revised by E. M. Hobart-Hampden and Harold Parlett, Yokahama, Kelly and Walsh, 1904; reprinted Perkins, South Pasadena CA, 1943. The Yokahama edition is online here. Surprise! A reprint of the original 1876 edition was published only a few months ago: details here. It's a facsimile of the copy in the Bodleian Library at Oxford. Since it bears no publisher's imprint, it looks like Satow had it privately printed in the UK. It would be interesting to see how spoken Japanese has changed in the last 150 years. Already by 1876, he says, for beer, "The word beer (pr. birû) has been adopted by most Japanese." Diane Kukich. 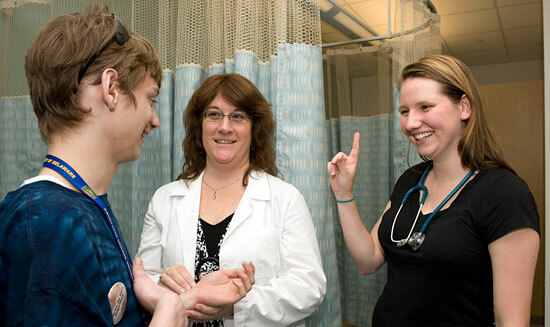 University of Delaware nursing student produces pamphlet of medical terms in sign language. UDaily, 2011. The article is here. UD nursing student Allyson Hayes, right, and Terri Boothe, a nurse with the Delaware School for the Deaf, demonstrate sign language detailing medical condition symptoms with student Brandon Crosson. Source: University of Delaware Research. This is by way of an interlude while I prepare the continuation of the previous post. Over at his blog The Liaison Interpreter, Lionel Dersot wonders what a perfect bilingual is. It's true there are several definitions, but my favourite description is the one I got from a doctoral thesis by a well-known French diplomatic interpreter, Christopher Thiéry. He proposed the following as a test protocol. Seriously. 1. Put the Subject (S) for 15 minutes among a group of native speakers of language A and get a conversation going. To avoid bias, the group mustn't include any acquaintances of S.
2. After the conversation, ask the participants (other than S of course) whether S is a native speaker of their language. 3. If so, put S for another 15 minutes among a group of native speakers of language B and repeat steps 1 and 2. 4. If both groups have answered in the affirmative, then S is a perfect bilingual. Simple and realistic. Personally I don't think I'd pass in any of my second languages. Perhaps French on a good day. Thiéry, who studied Professional Expert Interpreters who were members of the International Association of Conference Interpreters (AIIC), thought few of them would pass it; but I believe the results would be quite different with subjects from a naturally bilingual community. Elsewhere Lionel recounts his efforts to encourage a good Japanese interpreting student who is inhibited by the way Japanese society regards liaison interpreters as 'menials'. "I told her how derogatory interpreting in consec mode inside entities can be perceived. An enabler is a servant, an in-between, meaning for those acting as leaders a menial job." ﻿This is by no means a new problem. 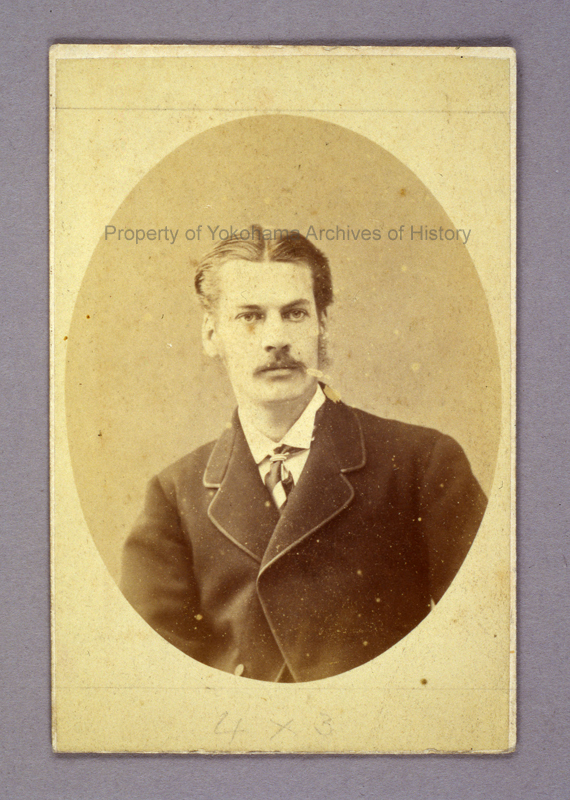 Ernest Satow, a British Professional Expert diplomatic interpreter in Japan in the 1860s, was constantly annoyed by the low status which the Japanese accorded to interpreters. "On one occasion, some Japanese officials at a conference had written up our official titles over the doors of the rooms intended for us, and mine had been rendered by 'tongue-officer,' a euphemism for interpreter; this I immediately had done away with, and my name substituted, for in Japan the office of interpreter at that time was looked upon as only fit for the lowest class of domestic servants, and no one of samurai rank would ever condescend to speak a foreign language. I had often to fight pretty hard with Japanese of rank to ensure being treated as something better than a valet or an orderly." The problem was aggravated by the fact that interpreters were associated with foreign trade; up till then the Japanese had only needed interpreters to deal with the traders from overseas, and commerce was considered demeaning for samurai. Obviously the Japanese attitude to trade has changed a lot since then, but not their attitude to interpreters. Lionel Dersot. A short course report. The Liaison Interpreter, 2013. Click here. Christopher Thiéry. Bilingualism in Professional Conference Interpreters. Translated from French by Susan Stillinger. Monterey CA: Monterey Institute of International Studies, 1980. Ernest Satow. A Diplomat in Japan: The Inner History of the Critical Years in the Evolution of Japan When the Ports Were Opened and the Monarchy Restored. London, 1921. One of the later editions is available here.